Orbit Communications Systems Ltd. (TASE: ORBI) will unveil their 12-inch Multi-Purpose Terminal (MPT 30) for airborne SATCOM at SOFIC in Tampa, Florida, USA, May 21-24, 2018. 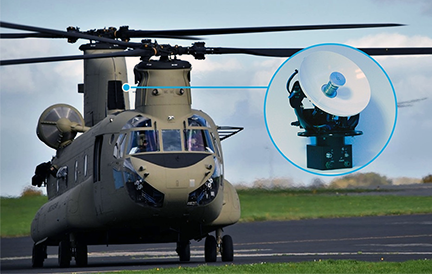 At SOFIC 2018, Orbit will be displaying its Airborne Solutions for Audio Management and Satellite Communications. The company would like to invite those attending the event to participate in a special seminar on Orbit innovation on Wednesday, May 23rd, at the Marriott Waterside Hotel, Meeting Room 10, 3rd floor, from 1:00 to 3:00 p.m.
Eitan Livneh, President and CEO of Orbit, said that in August of 2017, the company announced that the development of the Multi-Purpose Terminals would include helicopters, due to the significant market demand.